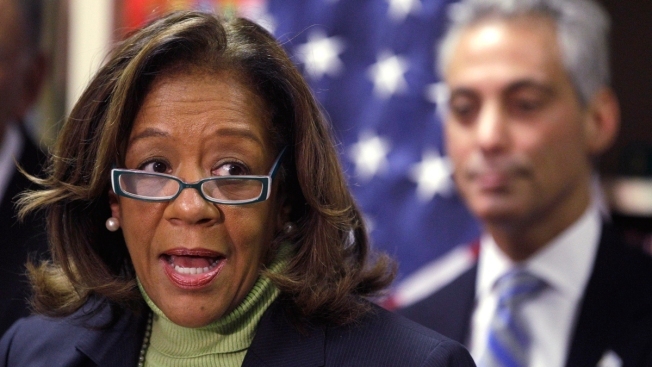 Prosecutors are expected to recommend former Chicago Public Schools CEO Barbara Byrd-Bennett serve more than seven years in jail for wire fraud. Byrd-Bennett is accused of steering multimillion dollar no-bid contracts to two education consulting companies run by Gary Solomon in exchange for a promise of $2.3 million in kickbacks. In new documents filed this week, Solomon’s attorneys claim Byrd-Bennett lied 29 times when first interviewed by federal investigators. Her sentencing hearing is set for April 13. She had earlier pleaded guilty. Solomon, who has also pleaded guilty has been labeled the mastermind of the scheme. His attorneys are asking for 18 months in prison in new pre-sentencing documents filed, however federal prosecutors revealed they will ask for a nine-year sentence. His sentencing hearing is scheduled for March 24.